The Blue Lagoon at a distance of 3km is reached by road. there is a regular dolmus bus service. This Lagoon is the much photographed gem of Turkey’s Southern Coast, famous for its ever varying shades of turquoise and azure, and soft sands. Separated from the main beach by a sand bar and narrow channel, the lagoon beckons you into its shallow waters. You can immerse yourself, paddle barefoot along the shoreline or swim across to the tiny island at the mouth of the lagoon. Here no boats are allowed in to disrupt the peace, canoes and paddle-boats can be hired to explore the rocky shores of the inner lagoon and search for mussels or use your snorkel to discover the myriad of tiny fish which start their life in these sheltered waters . If you find the atmosphere here too relaxing and need a fix you can take your pick of one the campsite beaches on the inner side of the lagoon?.great Turkish food, henna tattoos, hair plats, massage and many more amusements. 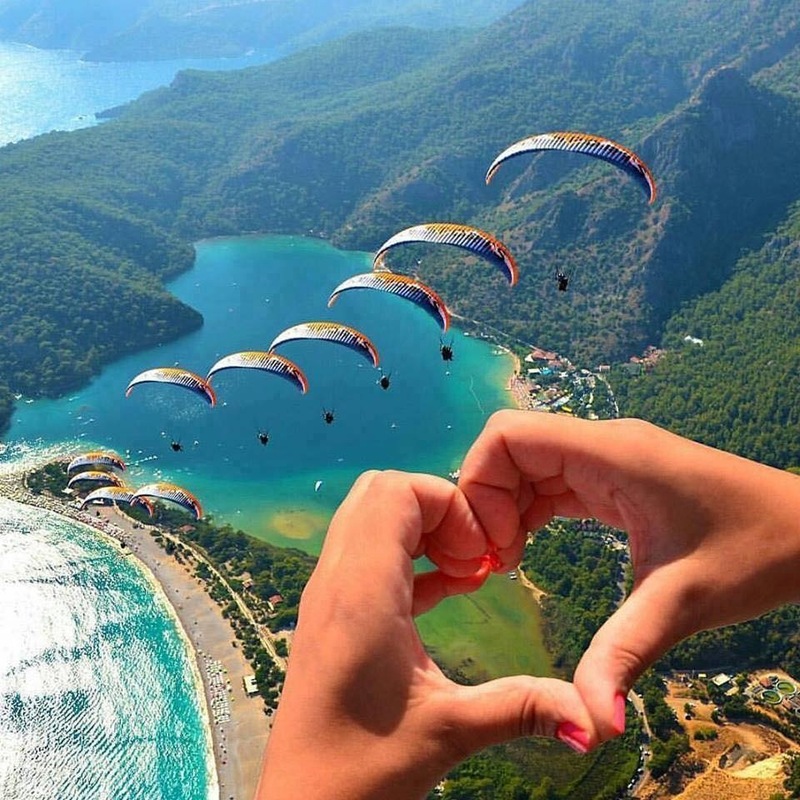 The main Oludeniz Beach is easily reached but road 3km, there is a frequent Dolmus service. The Bay nestles in a narrow valley backed by forested cliffs with a strand and beach area stretching 4 km west towards the Blue Lagoon. The Valley is a vibrant centre visited by sun-worshippers, para-gliders, divers and water-sport enthusiasts. Action is always close at hand. Once on the beach you can immerse yourselves in the pristine mediterranean waves, admire the sea view while enjoying a cold drink or a meal at one of the choice restaurants. Sunset may dictate a cocktail at one of the terraced restaurants overlooking the length of the beach watching the last para-gliders land, the last boats put down anchor, and maybe a group of frolicking Dolphins. 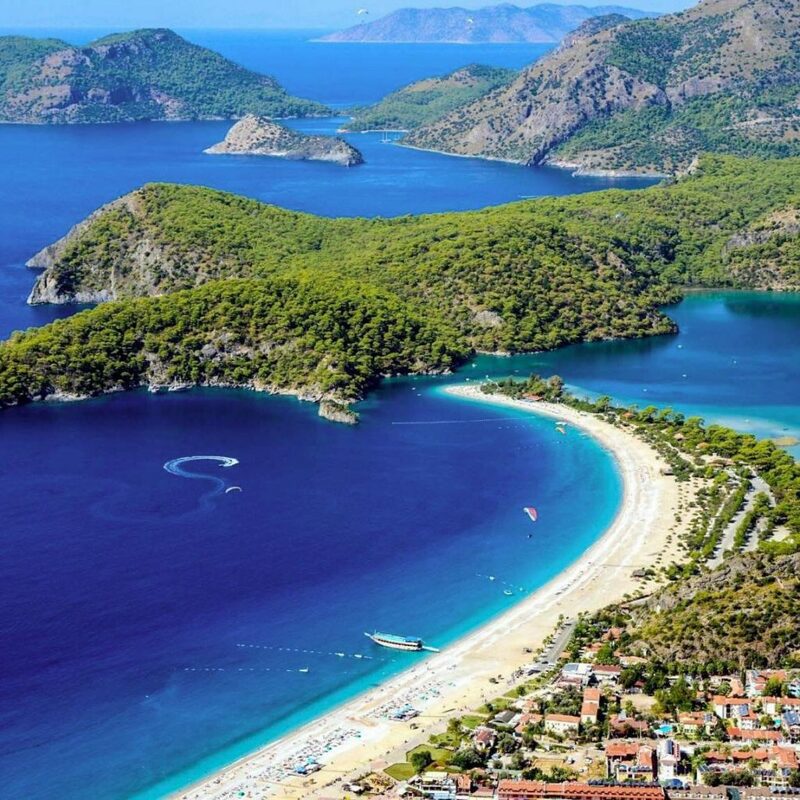 Butterfly Beach can only be reached from Oludeniz by boat – there is basic accommodation on the beach – tents and tepees – and a small restaurant. 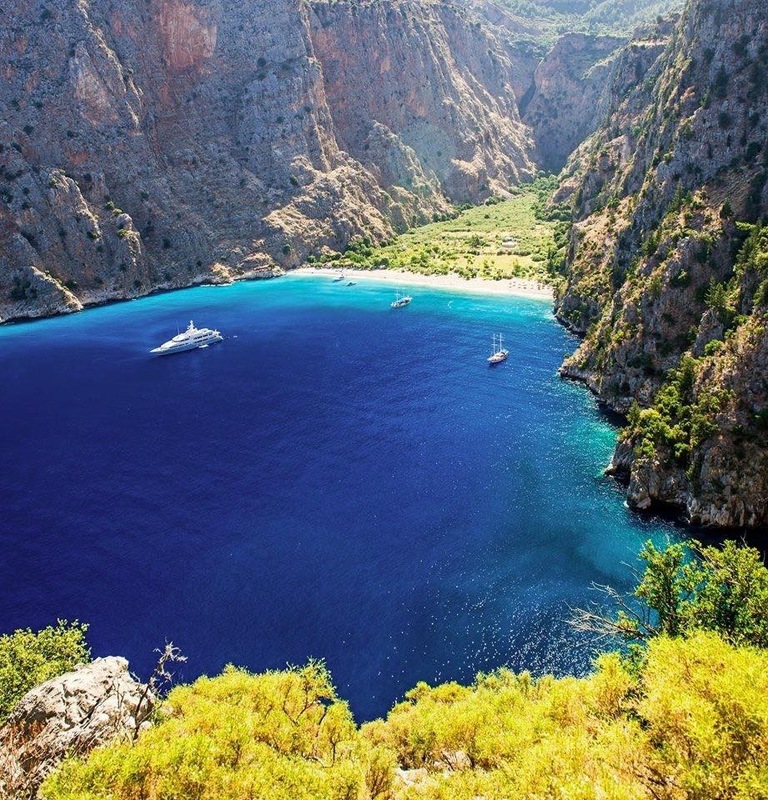 Butterfly Valley with it`s untouched nature, most amazing beach and basic facilities (no electricity, tv or any earthly possessions) – only a small restaurant and simple beach huts – is a total relaxation destination.